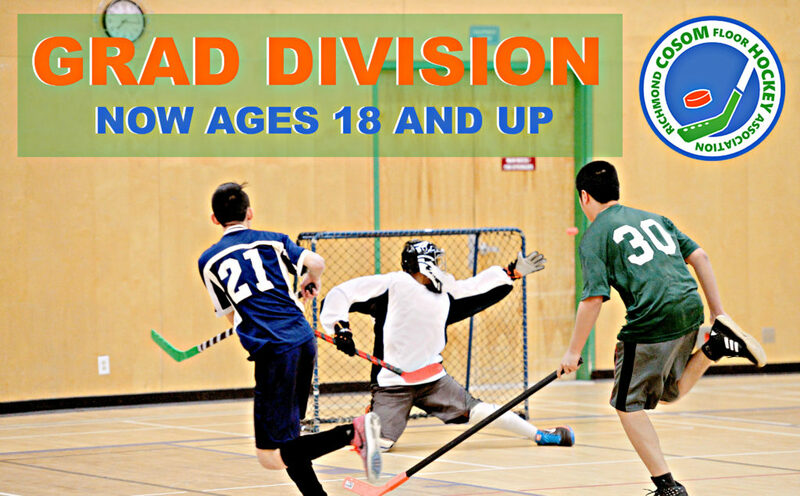 RCFHA is excited to announce we will now have a Grad Division ages 18 and above! The Grad Division will be co-ed and follow all the same Cosom rules. Games will be played early Sunday evenings and no experience necessary! Sign up now from our registration page!